This is an exciting time to be writing about the history of the Royal Navy in the years 1900-1914. Over the last twenty-five or so years, the ‘Orthodox’ views established by the American historian Arthur Marder and a handful of others have been challenged by a new school of ‘Revisionist’ historians led by Jon Sumida and Nicholas Lambert. The Revisionists’ interpretation was very much in vogue among naval historians back when I was a graduate student, and still commands a great deal of attention and respect. But just when it was beginning to look like a new orthodoxy had been established, scholars began finding flaws in key aspects of the Revisionist interpretation. Quite serious flaws. It is probably fair to say that over the last few years, a distinct “post-Revisionist” school has emerged. 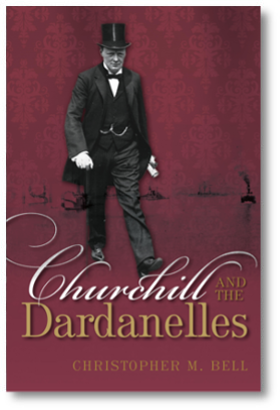 One result of covering Churchill’s entire career in Churchill and Sea Power is that I eventually became immersed in the literature and documents for this period. And what I found surprised me: the documents on British naval policy during Churchill’s first stint at the Admiralty (1911-15) kept leading me in a different direction than what the Revisionists had led me to expect. In many respects, this was the most challenging section of the book to write. For months I went back and forth between the documents and the main revisionist texts trying to reconcile the differences between them. It wasn’t easy to do. To begin with, the documents are more fragmentary than any historian likes. In addition, the revisionists offered a convenient, and seemingly authoritative, road map with which to navigate through all the ambiguity and gaps in the sources. Moreover, their conclusions had been accepted by many historians whose opinion I respect. It would have been easy to take the path of least resistance, and to simply accept their broad conclusions. This certainly would have sped things up and spared me much abuse later on! But no matter how sympathetic I was to the revisionist interpretation, things just weren’t adding up. There were many footnotes in their works, to be sure, but the documents quite often did not support the claims made in the text. In fact, they often pointed in a different direction altogether. And I kept finding that Important pieces of evidence were either ignored or misinterpreted. Eventually, after a couple more trips to the archives and much reflection, the pieces finally fell into place. To my surprise, it was obvious that the Revisionists had simply got things wrong, at least when it came to the Churchill period. My alternative interpretation is outlined in Churchill and Sea Power. The challenge was not to overwhelm readers with a mass of detail about how and where the Revisionists had gone wrong, since much of my intended audience wouldn't necessarily be interested. I was also wary about reducing the book's 'shelf life' by devoting a lot of space to arguments that would clearly become dated quite quickly. But I didn't think I could just present a different interpretation without establishing why the earlier one was inadequate. In the end, I decided to make my case in an article for a scholarly journal, where I could go into the necessary detail and lay out my full argument. I could then concentrate on making my own case in Churchill and Sea Power without frequent digressions to deal with the flaws in the revisionists' interpretation. Readers who wanted to know why I rejected these claims could be referred to the article. This became: "Sir John Fisher's Naval Revolution Reconsidered: Winston Churchill at the Admiralty, 1911-14", War in History (July 2011), pp. 333-56. I deliberately framed the piece in what I thought was a non-confrontational and inoffensive manner, in hopes of keeping the debate civil, and was a bit surprised when Nicholas Lambert, one of the revisionists, published a belligerent, and very personal attack on me in the same journal. I particularly enjoyed preparing my response. Lambert’s polemic seems formidable at first glance, but he either ignored or misinterpreted most of what I said. It was easy to demolish every argument he raised. It was also nice to have a chance to lay out some of the additional evidence I’d found to support my interpretation, much of which I wasn’t able to squeeze into the original article. I think it makes a constructive contribution to the current debate. Christopher M. Bell, "On Standards and Scholarship: A Response to Nicholas Lambert", War in History, 20, no. 3 (July 2013): 381–409. An electronic version is now available to subscribers, and a print version should follow soon. If you have trouble finding it, let me know and I’ll see if I can help you out.